Daleys Fruit Tree has Plants for Sale to Possum Brush and can Mail Order them to you door. Click to Find out how much Freight Will Cost. Similar to the Nam doc mai, but twice the size. 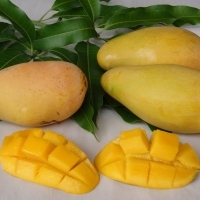 It has elongated fruit of a consistent light yellow. This variety has excellent disease resistance and is a heavy cropper. Performs very well in south eastern Qld and the northern coast of NSW. 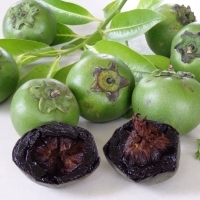 This Chocolate Pudding fruit variety has proved very popular in Australia. 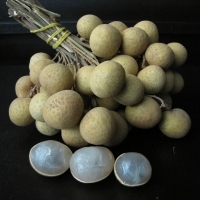 The near spherical fruit is medium to large with only 1 or 2 seeds. Superb eating quality and prolific producer. 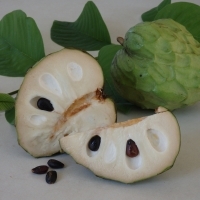 Cherimoya is a very heavy cropper of large fruit with juicy flesh that can be a little gritty just below the skin. The unique flavours suggests a hint of mango-papaya. A pleasure to eat due to its low seed count. A commercial favourite in California. Because of it's flavour many people have nicknamed it the "Queen of Fruits" because it's flavour is so much better than other custard apples.